The NYC City Department Health & Mental Hygiene requires that camp operators employ staff who are properly trained and possess valid certifications for the appropriate First Aid and CPR courses for their respective titles (i.e. Health Director, Aquatics Director, etc.) prior to receiving a permit to operate. All certificates are not on-site and readily accessible during your camp’s inspection. Trainings or certifications are discovered to be falsified, unapproved, or invalid. In addition, Subpart 7-2 of the State Sanitary Code requires the health director, other staff specified in section 7-2.8, and certain camp trip and activity leaders to possess valid certification in a course accepted by the Department as being equivalent to or exceeding course standards specified in Section 7-2.2(m). First Aid certifications are valid for the time period specified by the provider, but may not exceed three years from the date of course completion. 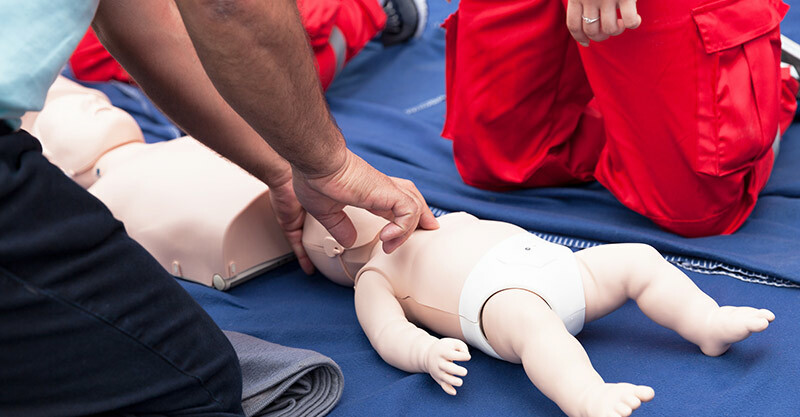 Children’s Camps (Subpart 7-2 of the SSC) – CPR certification is required for the health director and other staff specified in sections 7-2.8 and 7-2.11(a)(5), aquatics director, lifeguards, and certain trip and activity leaders. *All these courses meet the 2015 CPR and ECC Guidelines. Call us today for a FREE consultation and pricing on NYC Day Camp First Aid/CPR Training Packages. We travel to your location to provide your staff with the classes to meet the requirements of the NYC Department of Health and Mental Hygiene for day camps.